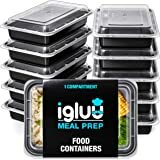 ★ KEEPS FOOD FRESH ★- IGLUU MEAL PREP food containers are made from highly durable food-safe plastic. 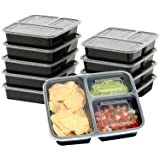 Airtight lids seal tight to keep food fresh for longer. The 3 compartments keep your food completely separated. Great for the office, work, school, gym, travel or picnics. Our containers are made with more expensive high-quality plastic, so THICKER, STRONGER and MORE DURABLE than cheaper competitor brands. 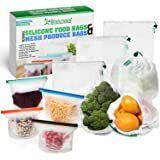 Perfect for meal prep, lunch boxes, snacks, parties, picnics, travel, last night’s left overs and more! 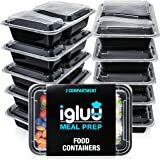 5.0 out of 5 starsMeal Prep Game Changed! So I ordered these on a bit of a whimp but it has been one of my best purchase ever. 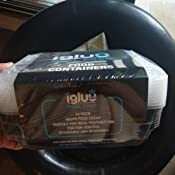 The container is made from such high quality plastic and often times with containers I find the lids quite floppy, but not this! The lids click in so nicely too and they stack beautifully! Plus they pop in the freezer, microwave and dishwasher! 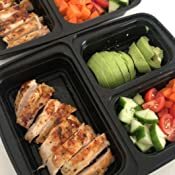 BEST meal prep boxes and has definitely changed my meal prepping game and made me a lot more excited! If you’re hesitant, try them out. I promise you won’t regret it! 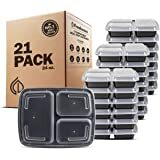 I’ve already ordered another set of 2 compartment boxes. 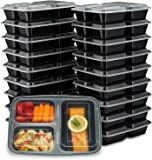 5.0 out of 5 starsAMAZING MEAL PREP CONTAINERS! 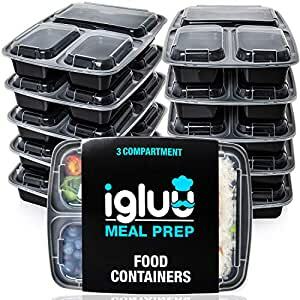 I ordered these containers to save time in the week for lunches and to portion control my meals. I love the layout of the containers the three sections keep food separate. My health-conscious hubby keeps his protein, carbs and veg in one handy container rather than three now. I have tried other containers before, but they have been flimsy and brittle. These seem a lot more robust and have successfully made the journey to work and back in my bag with no leakages and no breakages! 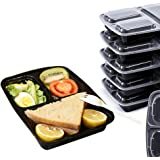 They are microwave safe and dishwasher which is a big plus for me. All my colleagues been very intrigued and love seeing what I take to work in them daily! They stack inside one another when not in use in the cupboard – great space saver! I am completely sold on this product and have recommended to my all friends and colleagues at work. 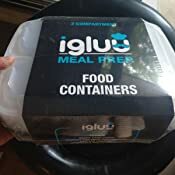 Good containers for meal prep, nice size and can be microwaved.. although lid is not the highest quality so not sure how long it'll last.